When my daughter was starting JK I was on the hunt for all of the best tools and resources I should have on hand. I knew what it was to be a teacher, and I knew what I wanted kids to come to school with. But, as a parent, this was a whole new world. After some thought and research, I collected what I now call my school survival list for parents. These are the labels I chose for my daughter. You can see them here. 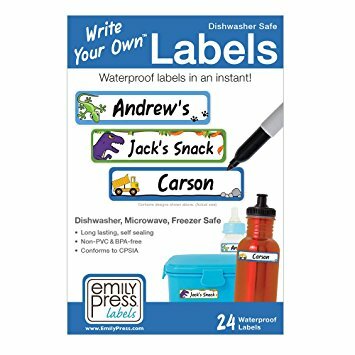 I’m smitten over my recent waterproof labels find! 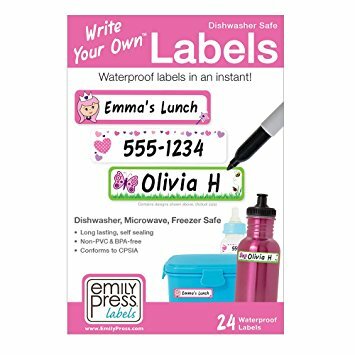 If you have elementary-aged children and want to label their water bottles or containers you need these labels. 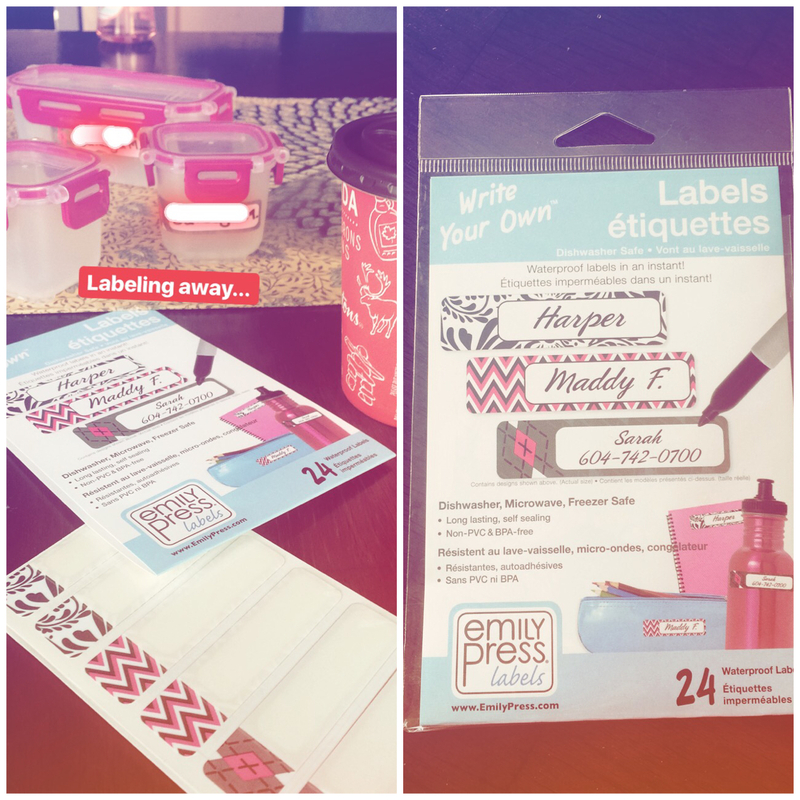 I personally used the Emily Press Labels, which are super easy to apply and actually look great. They are BPA free, and dishwasher safe. I’ve washed mine multiple times already, and they still look brand new. It’s not too late to get your own labels, they’re eligible for prime on Amazon! Labels fit for a little princess. This style is perfect for kids with active personalities. 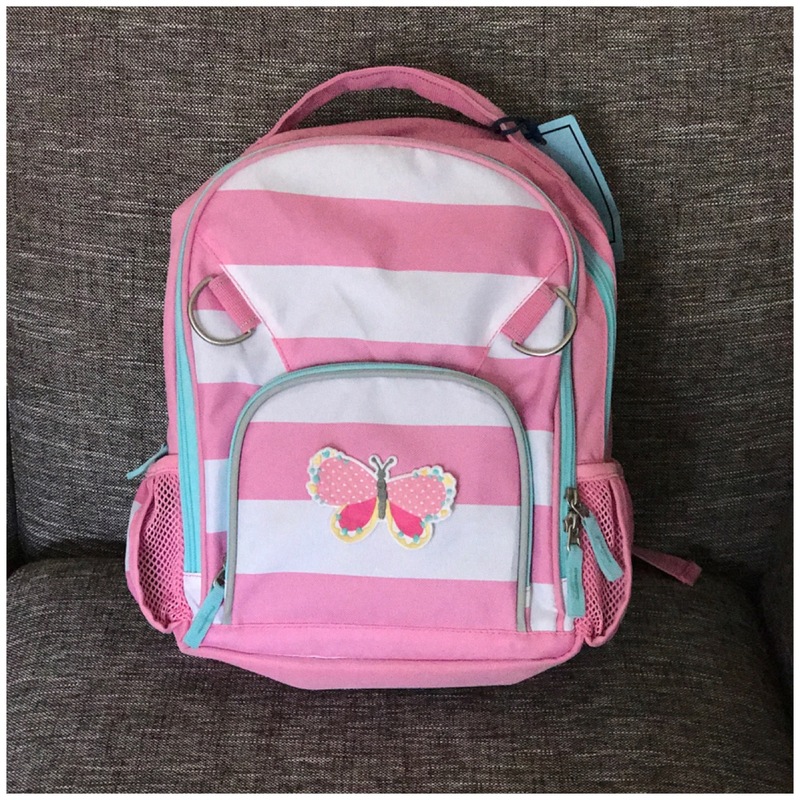 My daughter’s backpack, from Pottery Barn. 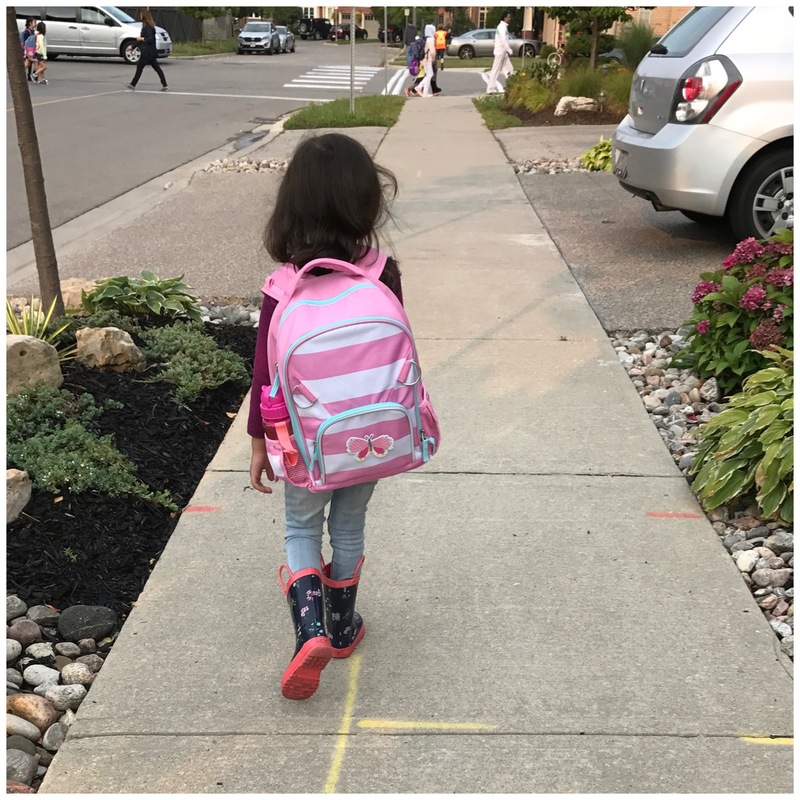 My daughter was only heading to JK this year, so I didn’t want to overwhelm her with a huge backpack. Alternatively, I didn’t want to get her a backpack that was so small, she would end up carrying some of her supplies in her hand. With that in mind, Pottery Barn literally has the perfect bags! They actually let you choose the size of the bag, ranging from pre-K to rolling. Not only do they have many designs to choose from, they are elegant while still appealing to kids. They offer personalization either by adding a name, monogram or character patch. Here is how the size small fits on my 4 year old daughter. Some of the organizational compartments inside. Pretty obvious right? I actually went to the store and purchased a variety of different container styles. My daughter struggled to open some of them, until we found the perfect ones. 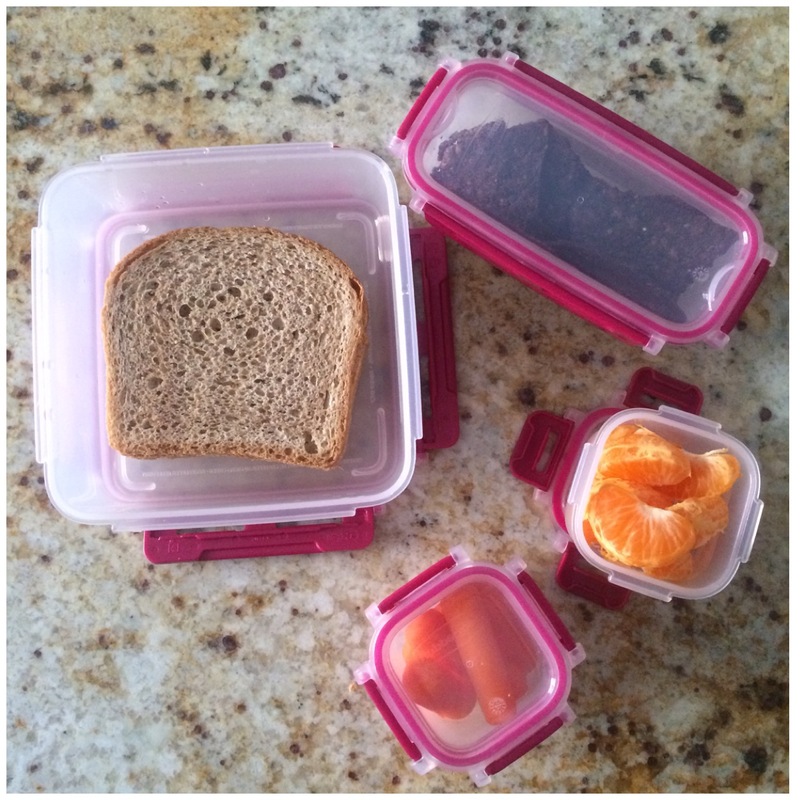 We went with the Rubbermaid LunchBlox Leak Proof containers, they are available on amazon here. They were the easiest for her to snap open and to close. 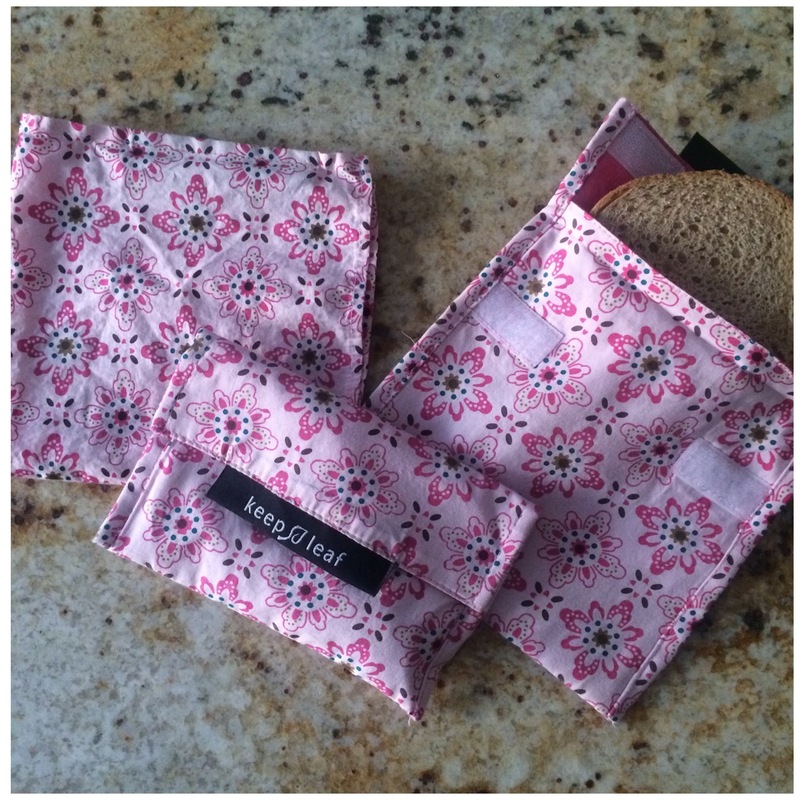 I love that they fit nicely into a standard lunch bag, are BPA free and also come in blue. I had received a lot of advice to get the Yumbox, but I found it to be overpriced, with smaller compartments then I had imagined. Overall, my advice to you is: have your kids try out different containers and choose the one they are most comfortable with…return the rest :). I also got these reusable cloth bags for dry snacks like raisins, crackers or anything I would use a plastic sandwich bag for. They are great because they are not bulky like containers and are reusable, unlike plastic bags. Ok so, I know this is a bit paranoid of me… but, I would rather be safe 100 times over then sorry when it comes to lice. It’s no secret that schools and classrooms have lice breakouts from time to time. I want to make sure my daughter and her hair are on the preventative side of this issue. 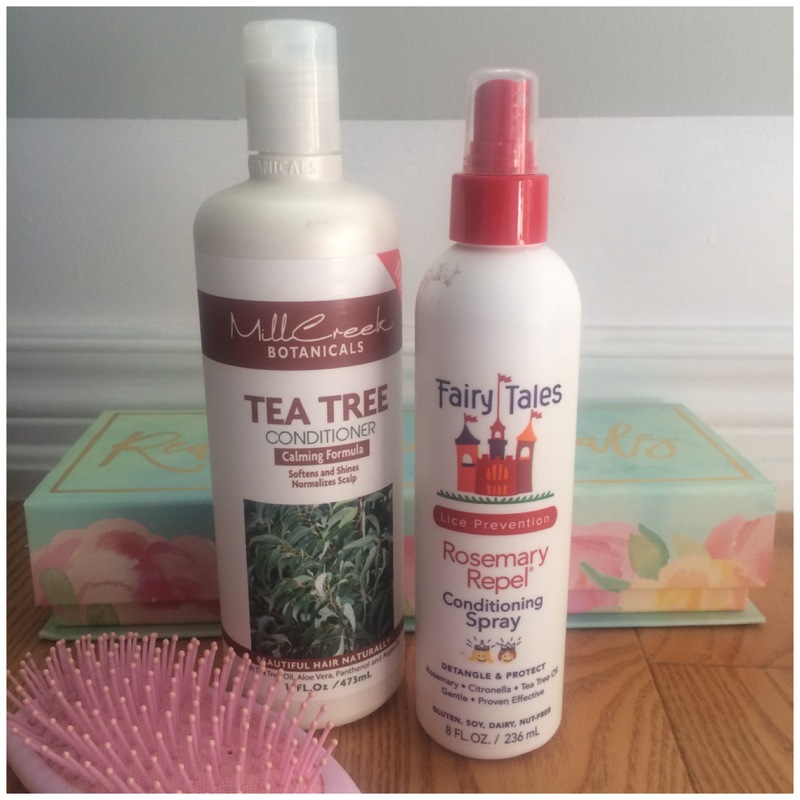 If you’re with me, check out this amazing conditioner called Mill Creek Tea Tree conditioner. After one use, my daughter’s hair was silkier and so much easier to brush through (there were literally no tangles). I’ve also paired that with Fairy Tales Rosemary Repel spray. It has such an invigorating and refreshing smell, which is the perfect pick-me-up in the morning. The best part is that these are both conditioners, so they work well for unruly hair. 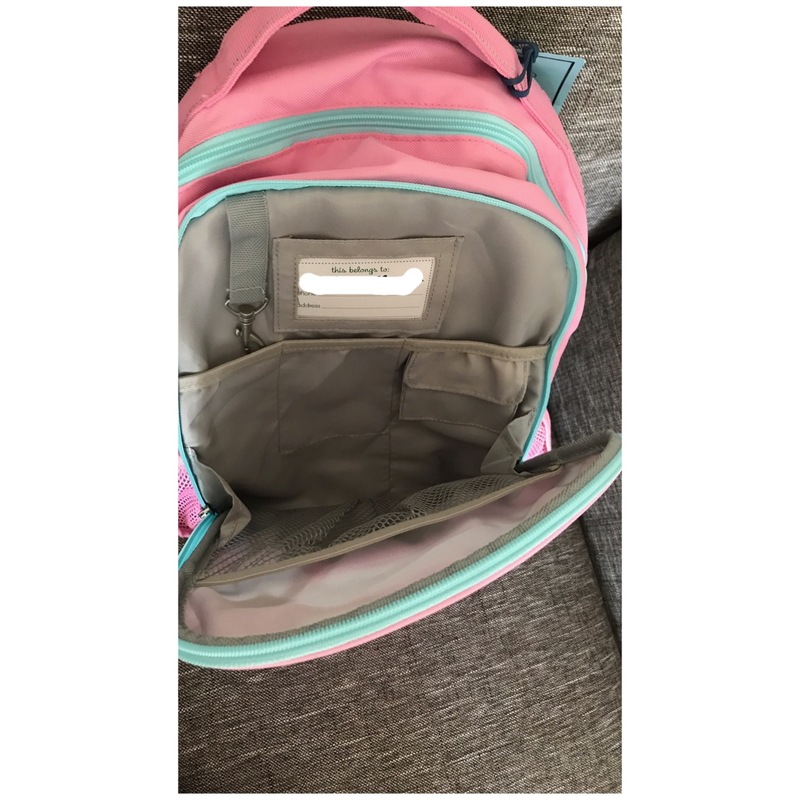 This is so important for living a more organized school life. We have multiple command centers in our house, and all are a work in progress. But, whatever functionality they are serving right now, is so essential to our routines. 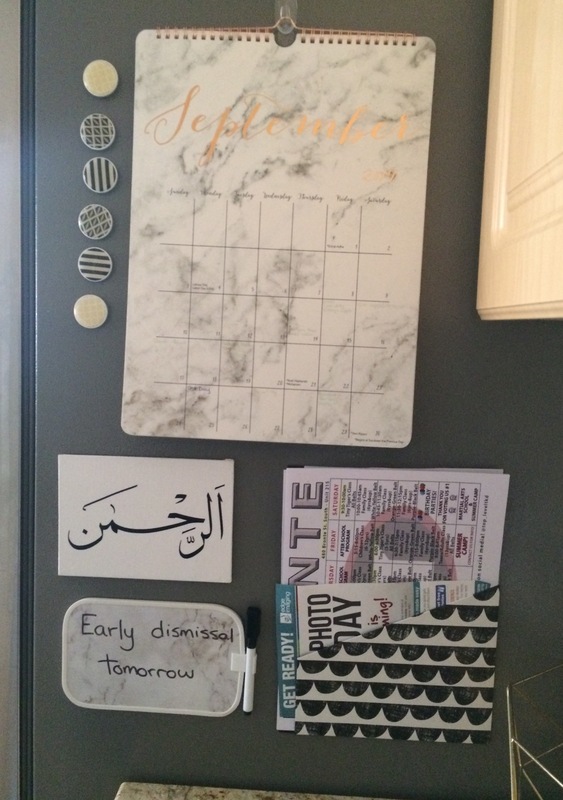 This is where we keep all of our important dates listed, as well as reminders and loose sheets we need for the week that we don’t want to misplace. The matching calendar and dry erase board are from Indigo. This is where we keep all of essential items that we need to either grab on our way out, or unload on our way in. This helps ensure everything has a spot in a convenient location. Choose something that works for your family. 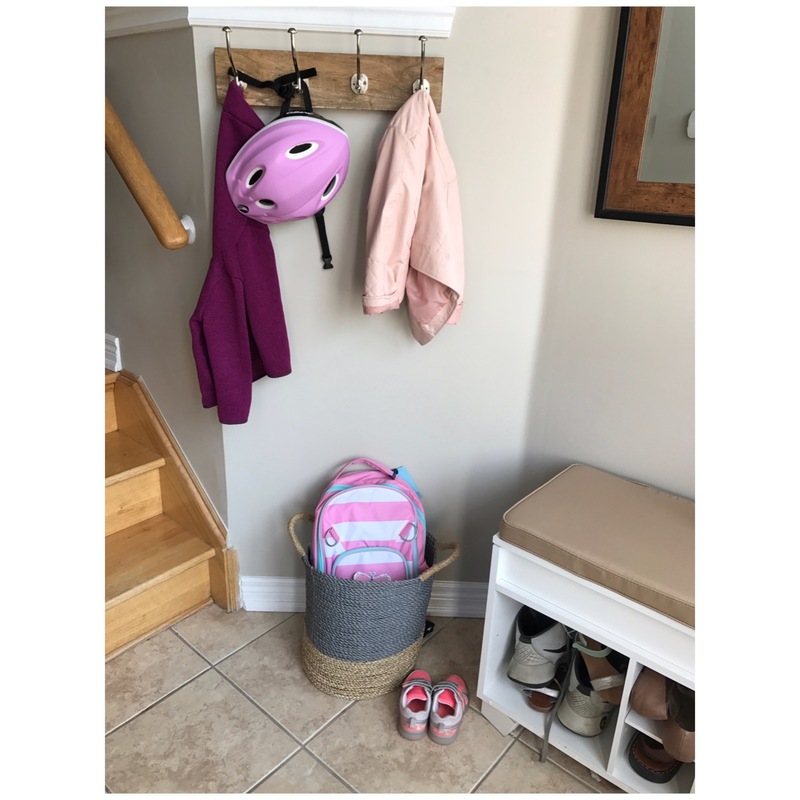 We have low hooks for our daughter to hang her jackets and sweaters, a bin for umbrellas and backpacks and a shoe bench to hold multiple pairs of shoes (depending on the weather). Soon we’ll be adding a dresser table to hold gloves, hats, scarves, etc. There you have it: my school survival list for parents. What’s your most essential item for school success?